There is no doubt that our pets become a part of the family, and like family, we want the best for them but duties call (we have to go to work etc.) and we leave them at home alone. Luckily, there is a way to interact with your pet no matter where you are by using the Petcube Interactive Camera. The Petcube works by being connected to your WiFi and streams directly to your phone via the easy to use Android or iOS application. 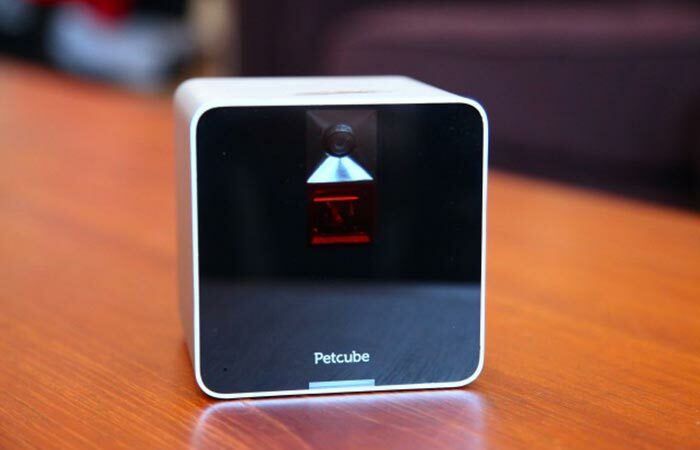 The Petcube brings you closer to your pet, even if you’re not at home. With the dual audio function, you can hear them and they can hear you, you can see them via the HD wide angle camera. To make sure that you can check up on your pet with only the best quality, the Petcube features a live video function with a HD wide angle camera. 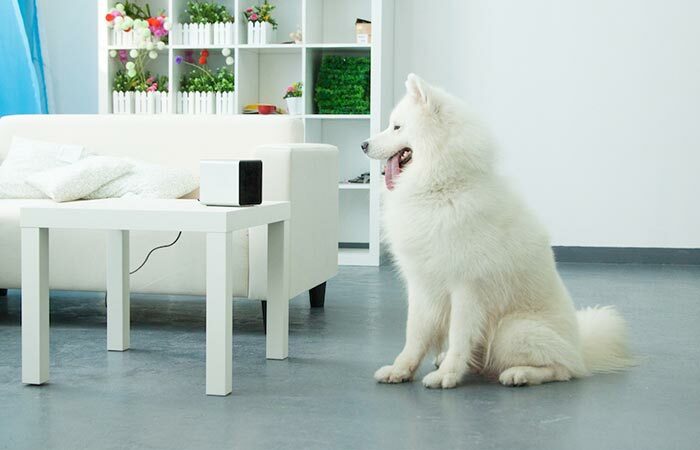 Not only can you see your pet but you can hear them as well, and they can hear you, since the Petcube has a built-in 2-way audio system. To entertain your pet, you can use the built-in laser toy that will keep both of you amused for hours. Check out the video below. 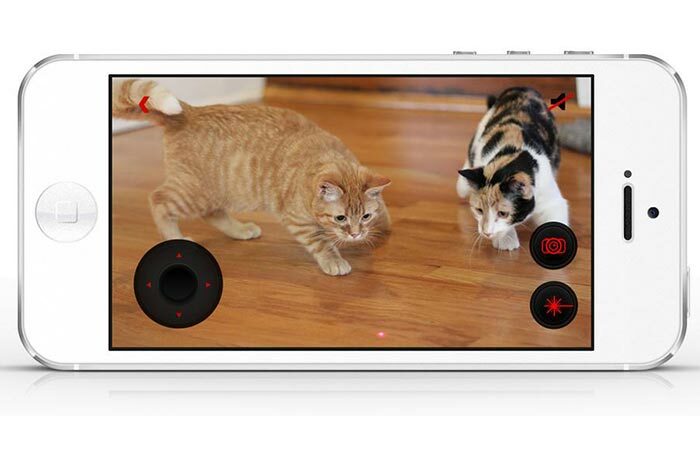 The built-in laser pointer allows you to play with your pet directly from your smartphone via the application. The Petcube isn’t just for one person though, you can customize it so that your friends and family can also have instant access from anywhere in the world. It also allows you to capture and share photos as well as videos and gives you the ability to engage with pet lovers worldwide. Designed to look good, the Petcube features polished aluminum as well as curved edges so that it can fit with any decor. It was designed to look good as well and fit any décor that you might have since it features a brushed aluminum cover and curved edges that looks both elegant and tasteful. PETLY | AUTOMATIC PET FEEDER BY RINN INC.